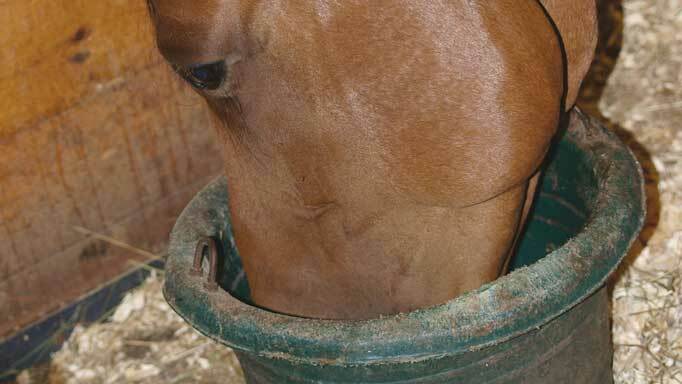 Antioxidants For Horses and Oxidation: How They Help? What are antioxidants and how do they help my horse? Oxidation is a normal metabolic process that allows horses to transform the carbohydrates, fats, and proteins they devour in meals to energy. The creation of free radicals – compounds that have the potential to irreparably damage cells – is one unfortunate and unavoidable spinoff. If left unchecked, the oxidation that occurs at the cellular level in horses and other mammals can cause muscular fatigue severe enough to compromise performance. When a horse is exercising strenuously, natural stores of antioxidants have difficulty providing sufficient protection against the cascade of free radicals generated from aerobic metabolism, making it necessary to supplement antioxidants. 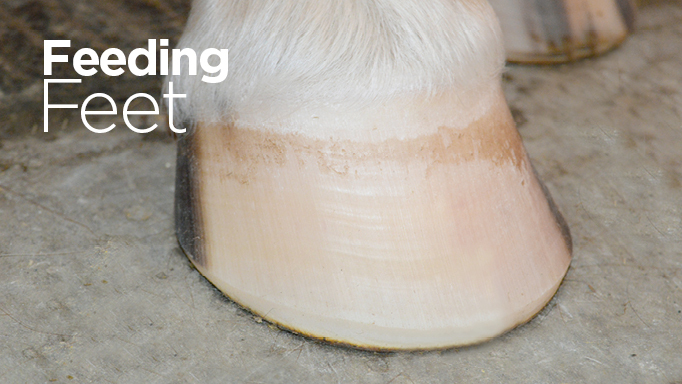 Vitamin E contributes most generously to the natural antioxidant defenses of the horse. 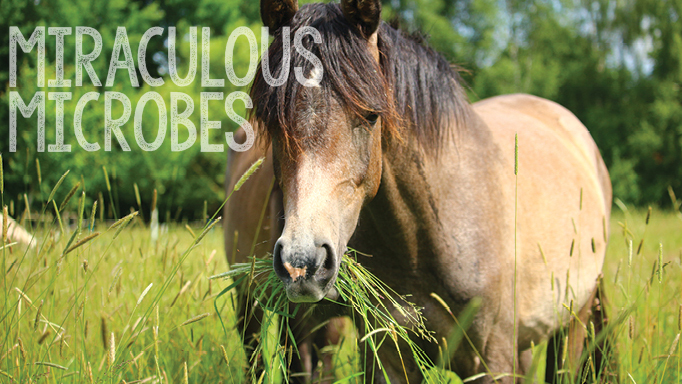 Cereal grains typically fed to horses have variable vitamin E concentrations. Horses may derive sufficient amounts of vitamin E from fresh forage or hay; however, the vitamin content abates as forages mature and are harvested and stored. 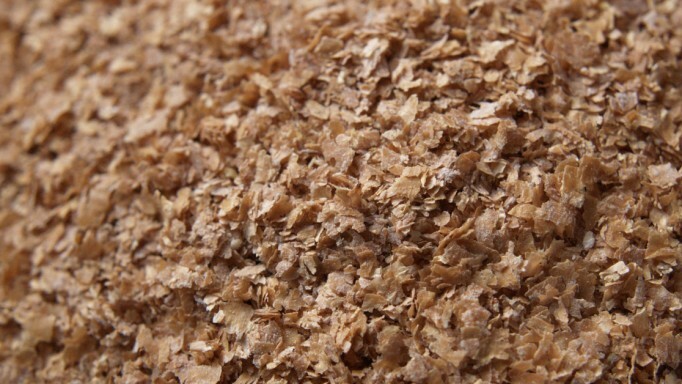 Because of the irregularity in vitamin E content of forages and other feedstuffs, the nutrient is often added to fortified feeds. While synthetic forms of vitamin E have long been the standard source of added vitamin E in feeds and supplements, research has shown that natural-source vitamin E, depending on the preparation, is 1.6 to over 6 times as bioavailable as synthetic vitamin E. Vitamin E is often linked with selenium, a micromineral that possesses potent antioxidant properties. Vitamin C, often referred to as ascorbic acid, also plays a pivotal role in neutralizing harmful free radicals. Because of its water-soluble nature, vitamin C can work both inside and outside the cell to combat free radical damage. Vitamin C also helps by regenerating vitamin E. The horse does not have a requirement for supplemental vitamin C, because it normally can be formed in the liver from glucose. 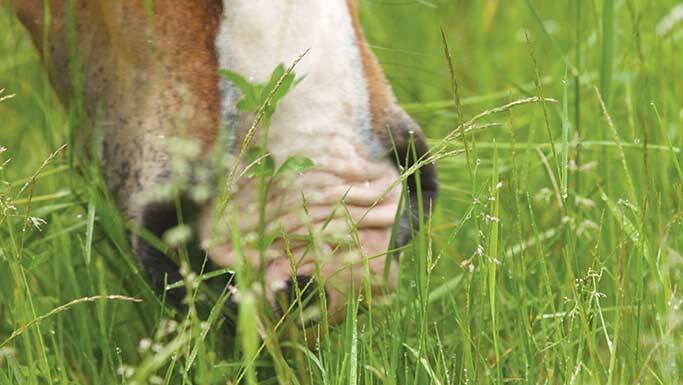 Options for horses who cannot consume hay or pasture forage.